I haven’t shared any field trip adventures in quite a while, looks like I need to catch up! We live in such an amazing area that has so many fun and often free field trip opportunities. 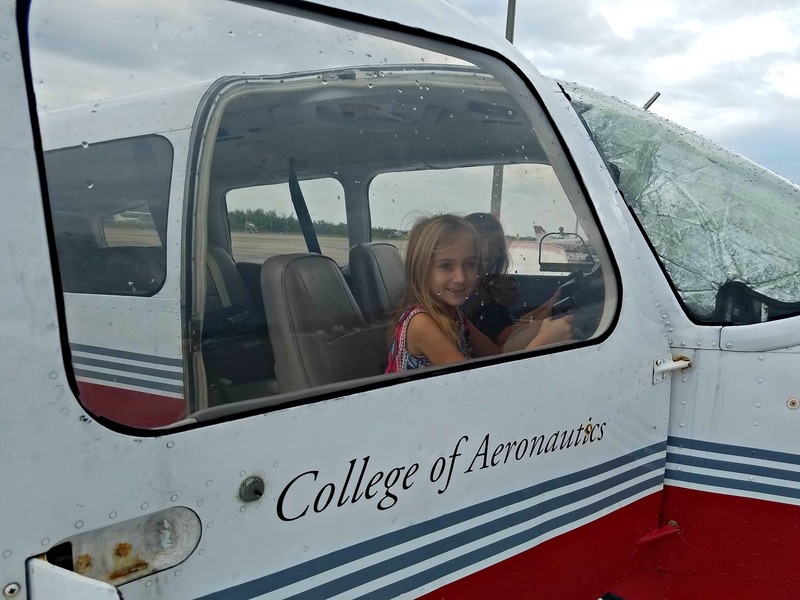 Audrey has been throwing around the idea of being a pilot, because she wants to travel the world of course, so a field trip to Florida Institute of Technology’s Center for Aviation Training and Research seemed like a pretty awesome field trip for our family to attend. Shane was in town so having daddy with us was a bonus. We also had friends on the trip which makes it even better! This was certainly a field trip fun day! I didn’t get any photos during the class / presentation. It was so interactive and full of information for the kids. 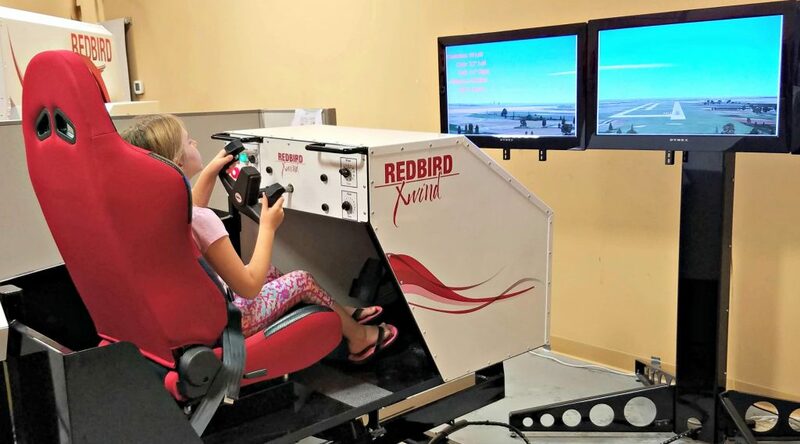 It also turns out that one of the pilots who trains the students is from the same teeny tiny town that both of my parents grew up in – Oak Hill, Ohio. Pretty neat! 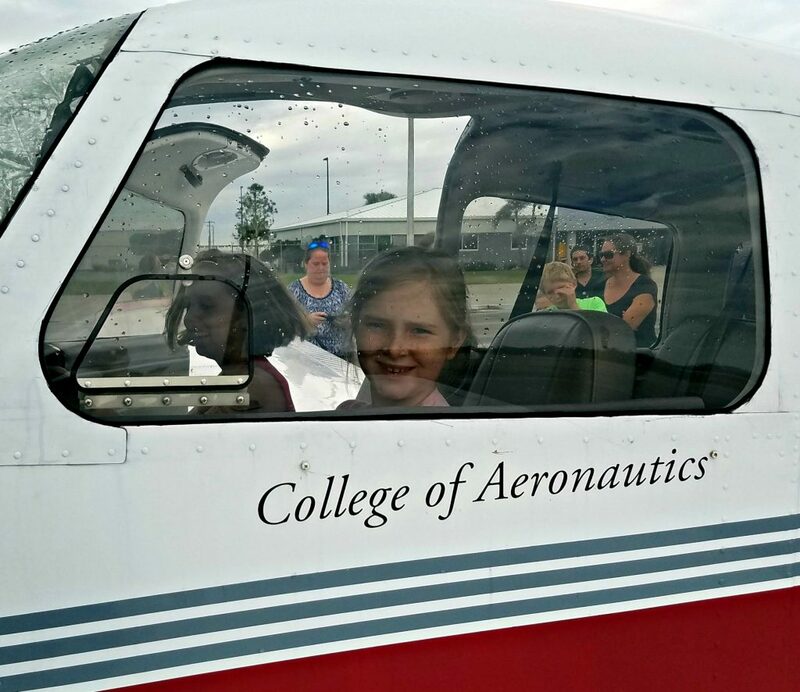 After the class, we went out to the runway where we saw planes in action and the kids even got to sit in a plane. SO cool! 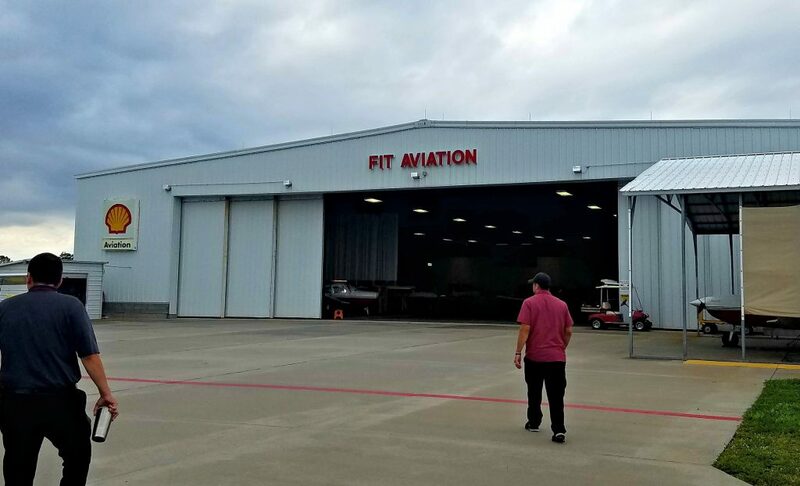 Once everyone had a turn sitting in an airplane we walked over to the hanger. Alex was extremely intrigued with the idea of being an airplane mechanic. He loves to tinker and fix things. We participated in this field trip six years ago (see that post here) and this is where the field trip ended on that trip but not today! 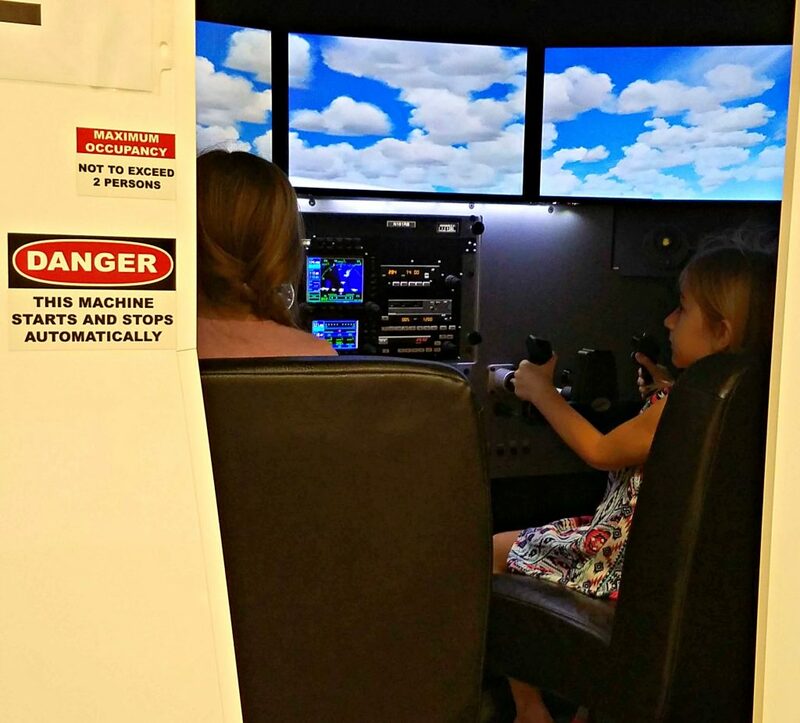 We got in our cars and drove to the flight simulation building. The kids were so excited!! 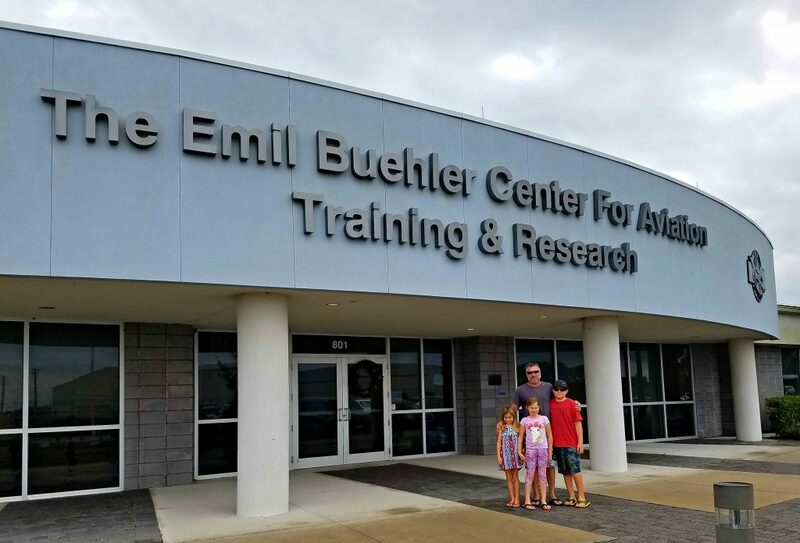 It is rumored that Buzz Aldrin is often hanging around this building, we were hoping to catch a glimpse of him while we were there. 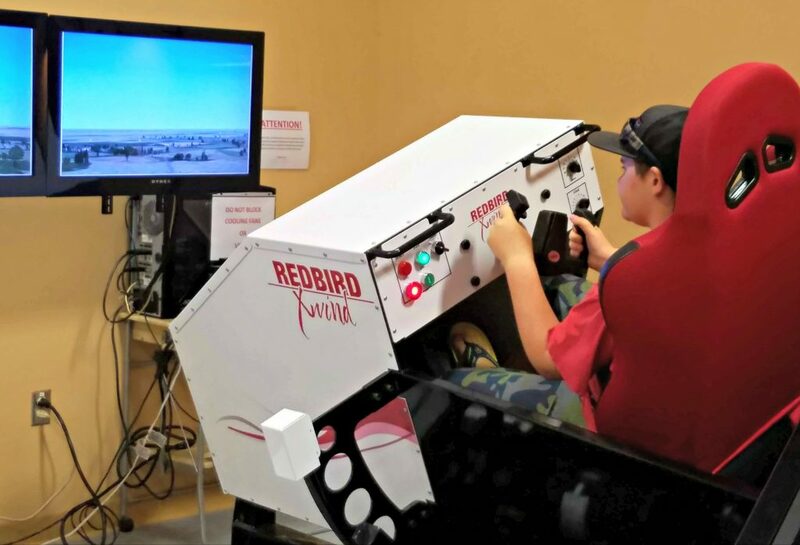 There were two different flight simulation experiences and each and every kid was given the opportunity to try both. 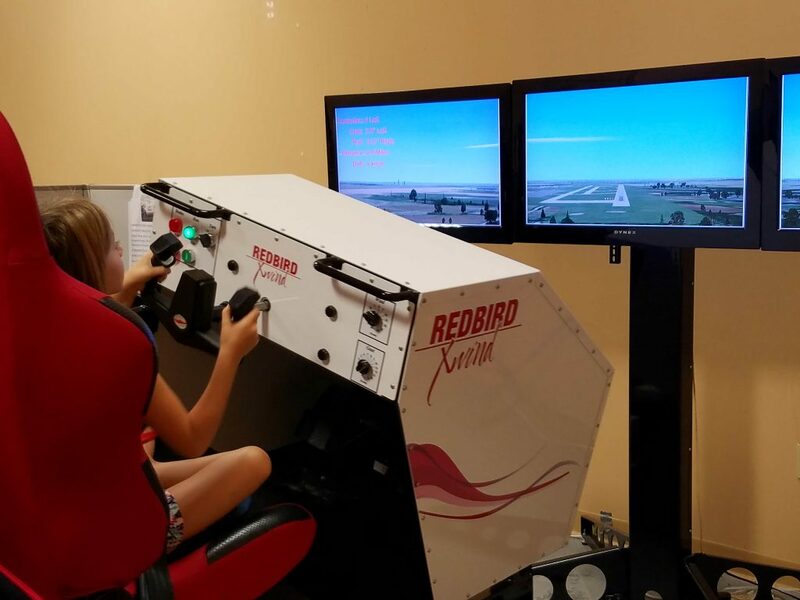 These are the simulators that the actual pilots in training practice on, I couldn’t believe our kids were able to have this experience. They all had a blast learning and exploring! We didn’t get to see Buzz but the kids were on cloud nine when the field trip was over. They learned so much and both Alex and Audrey are thinking about carriers that they learned about on this field trip. If you live on or near the East coast of Florida this is a field trip that I highly recommend! 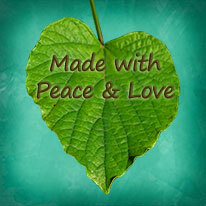 To read more about our field trip adventures please click here. ← My Kids Have Food Allergies – Who Knew?!? 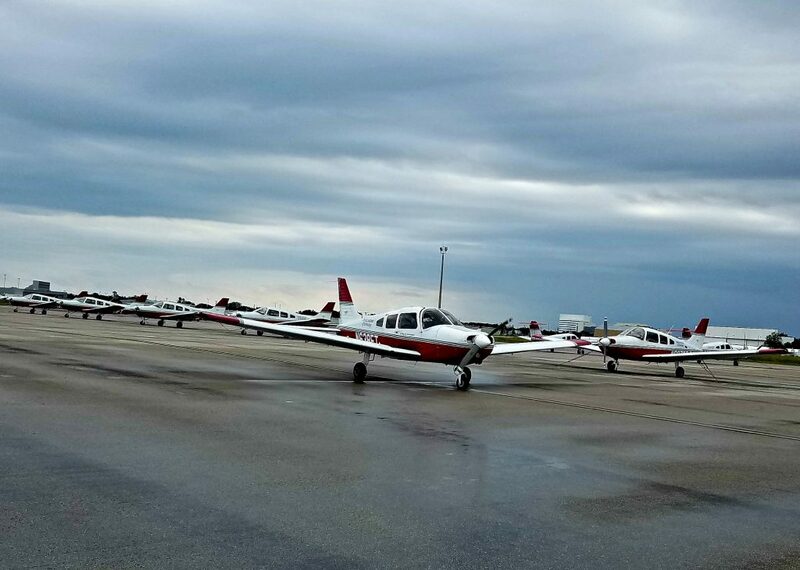 Great to know about this Aviation college.